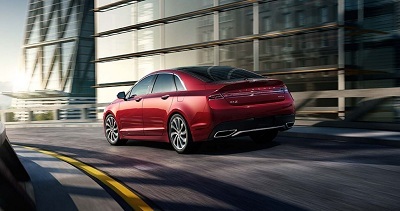 The 2017 Lincoln MKZ from Hammond, LA is a strong statement of refined luxury. Significantly refreshed for this model year, it boasts all-wheel-drive (AWD) performance, an available 400-horsepower engine, a longer list of exciting features, and more visual appeal. Compared to its flashy rivals, the 2017 Lincoln MKZ stays faithful to a conservative and understated type of indulgence. Supremely confident, the 2017 Lincoln MKZ is for drivers who will settle for no less than deluxe. Posted on August 1, 2016, in Business and tagged 2017, dealers, lincoln, mkz, serving. Bookmark the permalink. Leave a comment.